"I started at Concord Pilates in 2016. At the time, I had a bad shoulder and wanted to prevent surgery. My doctor referred me to physical therapy and I was also doing yoga. Unfortunately, yoga made me feel stiff instead of the other way around so I felt discouraged. I tried a Pilates mat class at the yoga studio and my interest was peaked. When I saw an article in the paper about a "Buff Bones" class at Concord Pilates, I decided to give it a try. Once I started, I realized this was it. As I worked on my practice, my shoulder gradually got stronger. After six months or so, I was surprised to find my shoulder was fine. I hadn't really expected such good results. I have exercised my whole life and have been in various exercise programs. 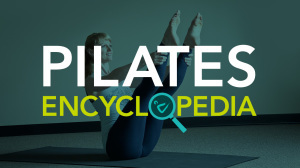 I like Pilates because it slows down my head and gives me good focus, almost meditative. For me, Pilates is the perfect mix of mental focus and physical effort, giving my overall peace and a great hour for myself!"